[VIDEO] Journalist after 421 days under arrest: My only ‘offence’ was to write! Journalist Murat Aksoy, who spent 421 days under arrest as part of the Turkish government’s post-coup crackdown against dissidents said his only offence was to write. A former columnist for the now now-closed Bugun daily newspaper, Aksoy was released released by an İstanbul court on Tuesday after 421 days in pretrial detention over his alleged links to the Gülen movement, which is accused by the Turkish government of being behind a failed coup last year. The movement denies involvement. “I am just happy. I spent 421 days in jail. It has been very tough. Justice is done even if it is already too late. My only ‘offense was to write. I committed no other crime. Yes, I am now free. I am happy for myself and my family. But, our journalist fellows are still in jail. 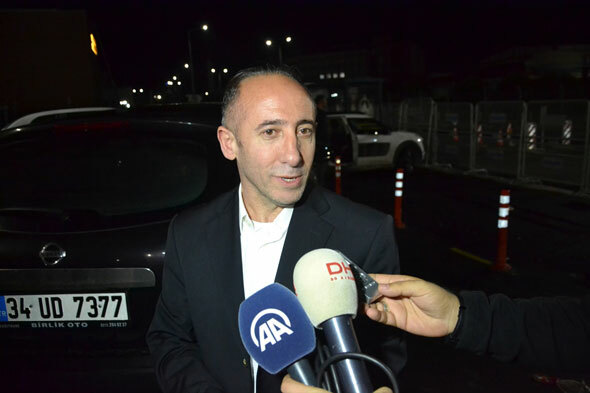 I hope people jailed for their journalist activities will be released,” Aksoy told reporters outside Silivri prison Tuesday night. Turkey has jailed at least 305 journalists in the aftermath of the failed putsch, of them some 180 still remain behind bars.